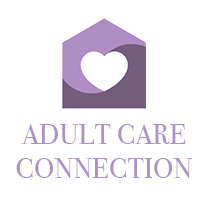 Locating the appropriate long term care setting for a loved one is complicated and multifaceted. Our team of experienced medical social workers are skilled at simplifying the difficult process for our clients. Our team is here to listen and advise. After hearing your concerns, we can book a clinical assessment that works best with your schedule. We arrange tours at care homes and facilities that meet all of the desired criteria and have a proven record of quality care and operational standards.We can either accompany families on the tours or they may choose to self tour with the itinerary we provide. After scheduling a clinical assessment with one of our clinical social workers, our social workers come to you and provide a professional non-biased clinical assessment of care needs, budget, geographical location, socialization preferences and other determining factors. We consult with families to help them make the best choice of care home or facility with current availability, proper staffing ratios and a resident population most compatible with our client. Our well-seasoned social workers will help you with these important decisions through their years of field experience.